Join us at the MSA Annex for a family friendly concert to benefit Tucson Waldorf School. 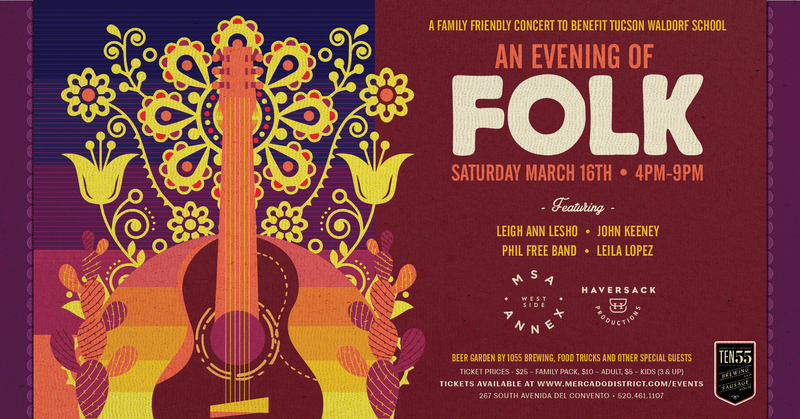 Musical Guests include Leigh Ann Lesho, John Keeney, Phil Free Band, and Leila Lopez. Beer Garden by 1055 Brewing, food trucks, and other special guests.